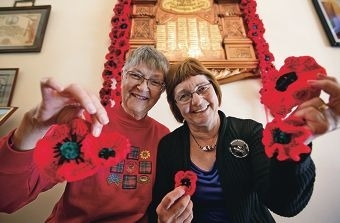 About 10 volunteers helped create one poppy for each soldier from the Cockburn district who risked their life overseas. Each poppy has the name of a soldier on it. The poppies, on display at the Azelia Ley Museum until the middle of October, will be sent to Albany where they will join others on the beach to mark 100 years since Australian and New Zealand soldiers departed the town for war. They will then be sent to Melbourne for Anzac Day 2015. They are on display at the Azelia Ley Museum which is open every Sunday afternoon.